I've been writing about cars since 1983, and my work appears in a variety of places. I review new vehicles, write feature articles, and write about old cars. You can catch me regularly in the National Post and Driving.ca; at Autofocus.ca (formerly Sympatico.ca Autos); in the antique-car newspaper Old Autos; in Automotive News Canada; and in the industry magazines Tire News, AutoJournal and Fleet Digest. For many years I was also the Assistant Editor for Autos.ca (formerly CanadianDriver.com). I was a contributor to the Toronto Star's Wheels section beginning in 1987, and for Metro since 2009, until those outlets dropped their freelance writers in 2016. I also write on other subjects. I'm a contributor to Pen World, a U.S.-based magazine for fountain pen collectors. In the past, I've also written about cocktails and collecting for Sharp magazine, on rural living for Rural Delivery magazine, and for Harrowsmith, Maclean's, Where New Orleans, Collision Management, Cars & Parts, and Canadian Street Rodder. 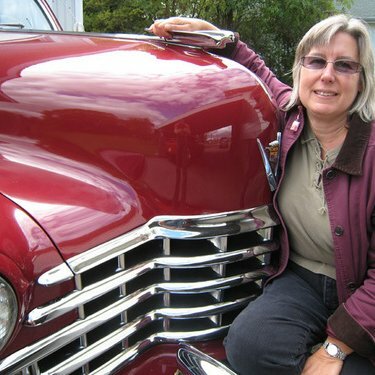 Join me on my website at www.WomanOnWheels.ca, where you can find a link to all of my online car reviews and some of my stories. What does "premium recommended" mean? Most vehicles will have a label saying they require either regular-grade or premium fuel, but you'll occasionally come across one that says "premium recommended." So what grade should you choose? Find out in my story at AutoTRADER.ca.